Serato DJ Upgrade Ready controllers and mixers will require a separate Serato DJ license or will need to be used alongside a Serato DJ Enabled controller. If you haven't already done so, download and install Serato DJ. This can be downloaded for free from the Serato DJ website. Start the Serato DJ application. 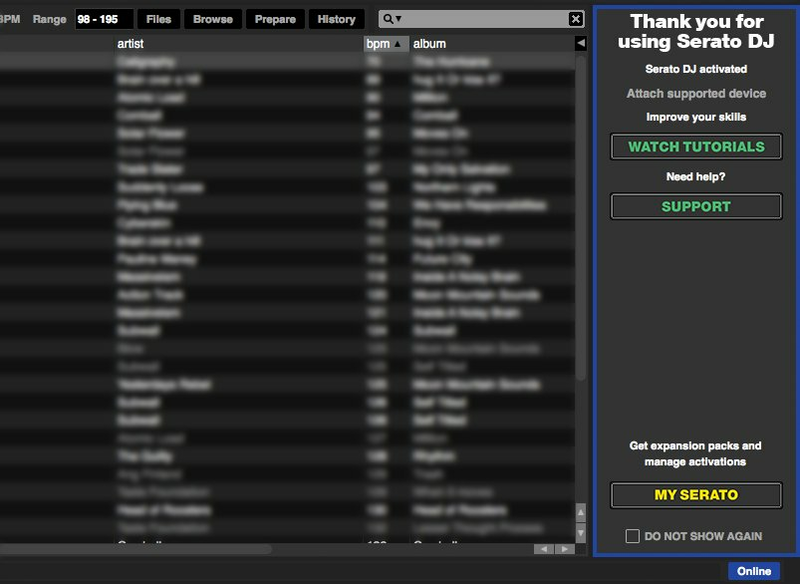 Open the Serato DJ "Online" or "My Serato" window by clicking the "Online" or "My Serato" button. This button is found in the right-hand corner of the Serato DJ application window. Click on "Expansion Packs & Activations". If you have an existing serato.com or whitelabel.net user account, enter the email address you use to access this account. Otherwise, create a new user account by entering your current email address. Click the "Continue" button. If you are logging in using an existing serato.com or whitelabel.net user account, enter your password. If you are creating a new user account, enter a password and confirm it. 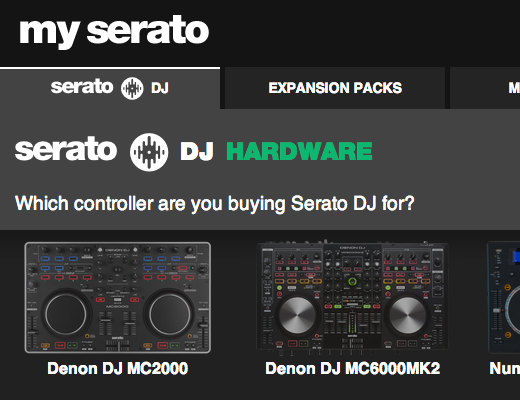 Upon logging in to Serato DJ Online you will be presented with options to enter your license number or voucher code. Enter your license number or voucher code, taking care to accurately enter the characters. Click the "Activate" button. Note: If you currently have a supported Serato DJ hardware device connected you will not be presented with this step. 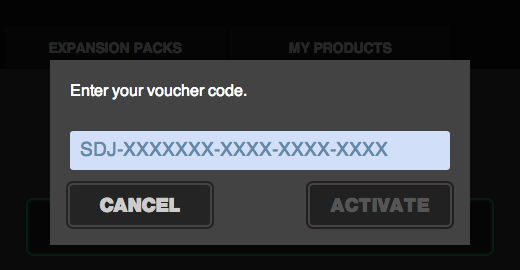 If you entered a valid license number or voucher code your product will now be activated on your computer. Congratulations! 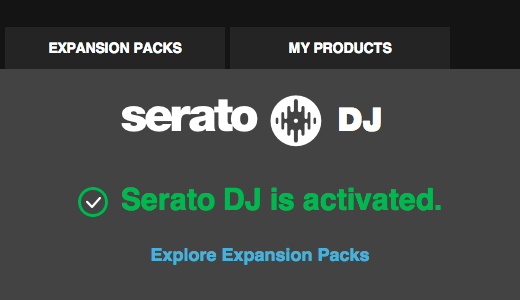 You can now explore Expansion Packs or close the Serato DJ Online window and enjoy your new software.